It's happened to all of us at one time or another. A project is stitching just fine then, out of nowhere, a glitch with the stitches. It isn't just the waste of materials that we mind, but the loss of time invested. In the sample above, I got almost to the end and ran out of thread. The closest color I had didn't quite match. Instead of throwing it out, I used an inexpensive fix - a Sharpie marker. Permanent markers are easy to find and come in a wide palette of colors. Fine tips make it easy to color even the finest details. They also are an affordable alternative to other fabric pens. And you have seen how well they work on several of my projects. 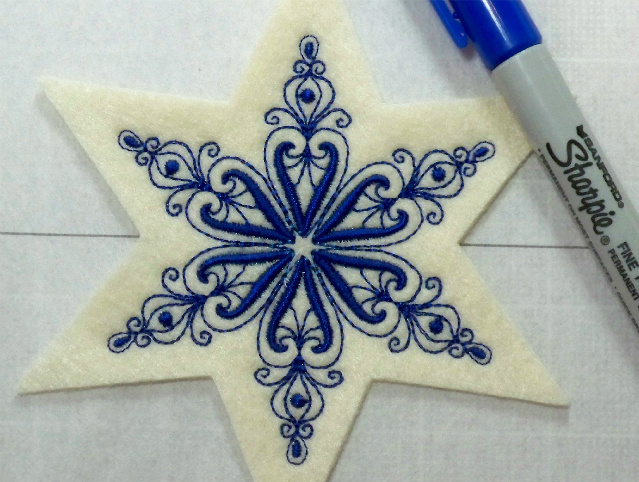 When creating freestanding appliques using tear-away stabilizer, the stabilizer often feathers through the satin stitching. A blue Sharpie rolled around the edges covers the stabilizer and provides a more polished presentation. Satin stitching can sometimes pull too much bobbin thread to the top leaving white splotches where there should be color. A few dabs with a black marker covered up the imperfection. 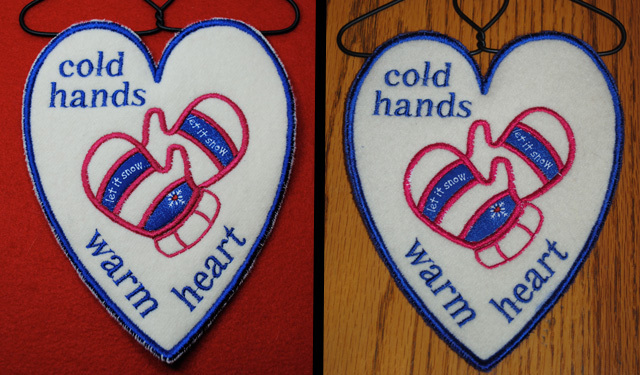 Satin stitching isn't the only type that benefits from a touch up. At nearly 50,000 stitches, this Santa design was too far along to scrap when the sleeve developed a sparse area. Fortunately, a few strokes with a red Sharpie saved the day. 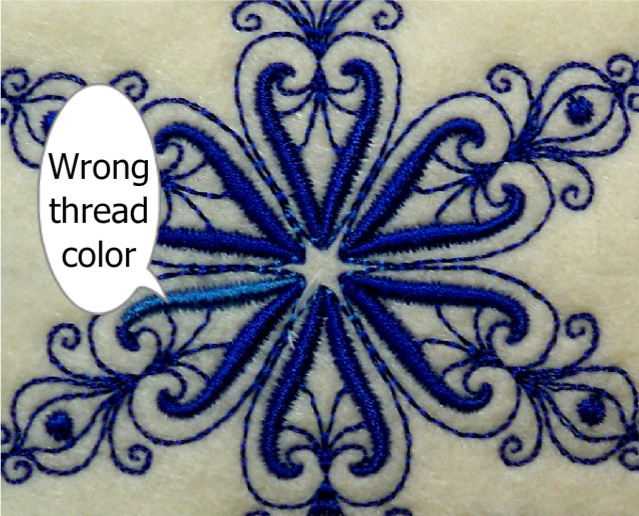 How do you cover up stitching glitches?